This pub is directly opposite Rockland staithe and the associated Broad, its more aimed a the foody market but I was surprised to find 5 handpumps dispensing a very good selection of ales including Mordue Workie Ticket, an unusual beer for the area. Nice outside seating area too. In an area thats lost far too many pubs we should all be supporting places like this. The New Inn has new owners. Mick & Paula took over in October 2011 and along with Robert the Head Chef provide home cooked meals using local produce. A warmj welcome assured for customers old and new as well as being dog friendly. Excellent Place. Enjoyed a two course Sunday lunch of sea bass and fresh veggies (superb) and desert of home made crumble with custard (my wife had the coconut tart) - very good. Brewers Gold good (pleasant change from the predictable three around here). Landlady and staff all very friendly - nice surroundings - well worth a trip out to enjoy the brilliant local walks and this marvellous pub!! Very pleasant pub in beautiful setting, with good beer. They let us take our drinks over the road to the staithe where we were having a picnic so didn't try the food so no comment. 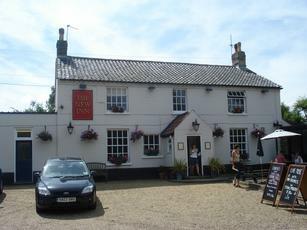 Probably one of the best pub restaurants in Norfolk! Stayed overnight here, drank at the bar and ate in the restaurant. I can't remember the last time we were served a meal of exceptional quality in such pleasant surroundings. Monkfish cheeks for a starter followed by the most delicious Venison. No pudding - just a plate of cheeses served with a tasty home-baked cheese bread and some crackers. We left the choice of wine to the chef. We weren't disappointed. The attentive and cheerful staff made the evening complete - such a change from experiences in other so-called gastro pubs where good food is served poorly. We retired to bed in a comfortable and quiet, well-appointed room with en-suite facilities. And no shocks in the morning when it came time to pay the bill after an adequate breakfast. 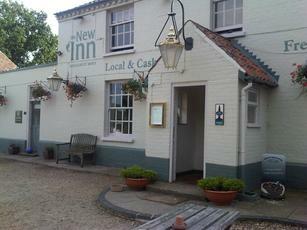 We recommend the New Inn.